If you are a new camera owner this guide will walk you through the most important settings, techniques and rules you should know. Great Info, Thanks!!!!!!!!! now to figure out how to use it!! I have read after nearly four years the introduction to digital photography primer was published. It is very useful better late than never. This site dedicated to giving photography tips and tutorials to photographers of all levels.Includes everything from buying a camera to what to do with the photographs you've taken. Thank you so very much for taking the time and making such an easy, yet, comprehensive information about photography. Really thank you. You made everything so informative. Please always keep this website and all it's links working because i will keep coming back and keep this as my handy guide to photography! 5. Over expose your shots by experimenting with different exposure levels. please learn some hand made light equepments to us,but not expensive!!! I can't remeber when or where I first saw this article, but it was put in my "favorites". I am relatively new (1 yr) to DLSR photography, and it is a great crash course on the basics. It is also nice to have all the basics condensed and in one place for brush-ups. The only problem (in a good way) I have is getting sidetracked on all the "you might also like" articles. Can spend WAY to much time surfing! Thank you for putting this out there for us newbies. Oh, found this just in time when i need to understand using SLR. The best introductory tutorial/tips for for beginner like me. Thanks! This is really useful and really helped me out. I highly recommend newbies have a good read of this! Great tips and techniques. Very useful for me as new owner for DSLR camera. Thank you very much for publishing it. Wish you all the best. I am a great follower of your tips...kindly help me with some tips on proper focusing and landscape...I also have an quarry on "how to take good landscape from top of a hill and what can I do to take a good photograph in fog?" About a month ago, I received an entry level Nikon D3000 as a gift. I've been searching all over to find a website that would give me great tips on photography to help me grow as a photographer. And I think I just found it. Thanks! Fantastic post yet again! I've been a regular reader and follower of DPS and enjoy it to the fullest.. Though I've just been surviving with a pro-consumer Canon SX 10IS I realized long back that having a "Better Camera" plays a good part, but not the whole part in making one a "Better Photographer". :) So keep em coming! Kudos.. Thank you so much for this information, Darren I got my first SLR for Christmas and havent had a chance to have a play with it yet. There is so much I need to learn and am so looking forward to learning to take better photographs. Here is another common flaw: Don't bullseye heads in the center of the shot. Similar to using the rule of 3rds, I often see shots of couples or groups with the heads set right smack in the center of every shot. Fill the frame horizontal or vertical when shooting people. Get close enough to get heads in the upper third of the frame. Also, helpful to get the flash off of the camera, but that is probably a more advanced tip. Fantastic post! Most informative and was a great "into to dslr's". You should make this your pilot email to subscribers. One of the most complete, right-to-the-point, easy-to-understand articles I 've ever seen . Amazing info. Your generosity week after week is amazing. Great list and I'm going out now to try a number of these tips on the beach in NZ. Another nice compilation. My response to the type of person in #1: Come talk to me after you've read the manual. A great list of things all shutter bugs should know, even the simple things (listed) should all be part of our mental invintory when we go out and shoot. From the pro to the amiture, we have all had to learn these things. D-P-S has been a great resource for these and many tricks/tools/skills that will make us all better photographers. Thank you Darren, and the many contributors, moderators, and members who have helped so many obtain the skills that have made us better photographers. Excellent article Darren. This hits all the important points succinctly for not only beginners, but those of us needing simple yet thorough refreshers as well. Well done! Have been using a Samsung Digimax v5 for nearly 5 years and will be upgrading to a Lumix DMC FZ45. This posting is so useful and informative. Many thanks! Thanks for all the wonderful insight and tips. I have one question, though. When taking a group shot where the people are not all on one plane, where some are in front of others, I have a hard time getting everyone in focus. The camera, of course, wants to focus on the people in the front, but it leaves the people behind them out of focus. How do I correct this? Thank you. A great list for sure! Does any of it apply to point and shoot cameras or is it for DSLR users? All these compiled will make a very good book! 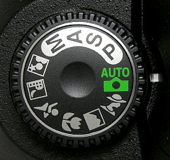 This post is a great collection of the basic knowledge all new DSLR owners need. As I teach DSLR photography lessons in Tampa Bay, Florida area ( http://jasoncollinphotography.com/blog/2009/10/3/dslr-photography-lessons-in-tampa-bay-area.html ) often to people brand new to the DSLR world, I will refer them to this post as a FAQ sheet to help them after the lessons. I have been getting "serious" about photography over the last few months. My friend, whom I might add is a very talented photographer, emailed me this website and said this is where she learned quite I bit. We went out the other weekend and i was playing around with her Canon. She was explaining a lot of ISO/aperture/shutter speed/white balance/"rule of thirds"/etc. This was the first time I have had anyone break all of that down like that. A lot of it stuck, or at least planted a seed. I just read about five or so articles on this site, on my iPhone sitting on my couch, and feel like I just found the 'Holy Grail' for beginner photographers wanting to get to the next level. Keep up the great knowledge!! Thanks Darren! This is a goldmine of refresher information! Love the site and all of the helpful reminders and tips! Cheers! The article is very informative. Now I know how to set up my digital camera properly. Thanks for the advice. Great roundup. While the title indicates this is for new camera owners, I'd say that if more professionals actually started using the techniques you have listed, they'd have much higher quality work. You never know, maybe I'll need to come back, and read the tips again. THANK YOU!!!! I've spent my summer learning all these things (from a "Photography for dummies" book from the library.) I still have SO much to learn. This is an amazing post... may I link to it from my blog? What a fabulous collection of articles! I work for the National Wildlife Federation and we've just recently put together a collection of tips for people who want to focus specifically on nature photography...if any of your readers are interested, it's at http://www.nwf.org/phototips in our online Photozone. I have been lost for like a week since I got the new camera. I was going crazy trying to figure out the features but this post helped me to get it all in perspective. A big help for a newbie like me. great tips for those just starting out. Thanks for the links to your previous posts to do with exposure. I have struggled with that and typically let the camera decide - sometimes to my detriment. I have gained some understanding now as to how that all works. Very usefull tips. I will surely improve my pictures. Thanks for such useful tips! My newest camera is only two weeks old and I was intimidated by all the features. Your post will be a big help for me to use my camera in the best way possible. New owner of a Nikon D60 and very much enjoying this informative site! Hitting zoos in the surrounding areas to practice for the last three weekends in a row and learning so much! Thanks! great tutorial! i pointed a bunch of friends to come to this site to learn from you! thanks for putting this all together. Very informative. A lot of very useful tips and techniques provided on how to shoot for a high quality photo. Love it very much. Thanks for the tips, I can never get my shots quite as good as when I had old film cameras, but these should help. Thanks! Heck yeah histograms are scary! Great info here. I m a new user to the DSLR camera's n by luck got ended up to this site and believe me I never searched for another site to grab knowledge. Thnks buddy. Any tips or techniques on how to clean a DSLR CCD? Thanks - def. a few in here that I need to read upon :D! Working through this list is a good way to start the new year! Brushing up on some stuff and learning some new things - looking forward to it. Thanks for the reminders. I've been taking photos since I was 18, I'm 77 now. And I learned something from your list. These are more than tips - these topics essentially amount to a master class in digital photography. You are doing a great job lifting standards. Well done. Now, i know the the complex side of taking photos. Thank's so much for the great help. Thanks a ton for the great tips! WoW! Great content!! Tons of great information here for any new budding photographer! Thanks for all of your hard work! Oh wow these are great. I would have to agree with just about everything you said. Very nice list. I'm going to read them all and hope to learn how to use my new Nikon a bit more. Thanks. Oh lordy! What perfect timing. A few weeks ago I bought an Olympus e-520. My first DSLR... eesh! this is a great post, for beginners and a great refresher for pro's and pro-ams alike. never hurts to reiterate the basics. Thanks so much for these tips. I learned something new today (about the night setting for flash when indoors to reduce burn-out). I find your tips very useful, and enjoy reading your newsletter! Happy New Year!! As i'm a newcomer in Photography, just Thank you for this very Usefull guides ! This compilation is very useful. Thanks! Awesome list, and a great way to get some of my friends / family who have been asking me to teach them how to use their digital cameras hooked on this blog. Thanks for posting this. It is very timely. This was one of the best basic lists I've read! Thank you for sharing so much information and including the links to all the pertinent articles. I never even knew that half of these settings were in my camera, and now I know how to use some of them! Thanks, guys, for this great post! Should elaborate a little bit even you can click to the link. Examples, 4.Understanding Histogram: bla... bla... You should see the curve is like spread tone for more balance. Or 13. How to Avoid a Dirty DSLR Sensor - bla.. bla.. use this kind of clothes to clean up your lense. Just a simple and basic suggestion for users/ readers. Great anyway. Deirdre, the comments on old articles are always left in place, you may sometimes need to click on the 'more' or 'comments' link at the bottom of a post to get to them. These are great tips that even many Pros forget. It never hurts too review the basics once in a while. I know what I'm reading tonight. I was at the Huntington Library this past weekend (after Christmas) and I was amazed at the number of cameras I saw. Literally everyone had a camera and I was also surprised at the number of digital SLRs. Very helpful compilation of articles. Thank you. By the way, I wish that even if you didn't want to allow more comments on old articles, you would still leave the old comments up. I sometimes learn as much from comments on an article as I do from an article. I have so much to learn, and love this site. Thank you so much. You've got a regular reader here. Great, great list! I forwarded to this link to two people! I really think you should modify it though and switch group 1 (6-12) and group 2 (1-5) as it's critical to have done Understanding Exposure before getting into modes and setting (1 & 2). in those very articles it says "we've reviewed.." and refers to exposure understanding. also, #3 is a typo and is listed as #4. WOW! What a list. It seems like it took me forever to master everything thats in this list. If I got a new SLR for Christmas, I'd head straight here for a leg up! I suppose white balance was the last thing for me to figure out as a beginner, because I shot in RAW and simply "corrected" it on import. Now shooting with flashes and mixed lighting, white balance (and gels) seem to be one of the most important!